SIX severely-injured soldiers are preparing to kayak 465 miles down the Yukon River in Canadian Alaska with the charity Pilgrim Bandits. The extreme expedition, which takes place in September, required each team member to pass a rigorous selection test and has been described by Pilgrim Bandits CEO as the toughest trip his group has ever organised. Pilgrim Bandits’ challenges are designed to push men and women from the Army, Navy, RAF, Police, Ambulance and Fire services who have sustained injuries either in the line of duty or during the time of their service to the absolute limit and help rebuild their confidence and self-esteem. Recent expeditions have included an 80-mile trek across the Hardanger Plateau, Norway, retracing the steps of the Heroes of Telemark allied mission in WW2. 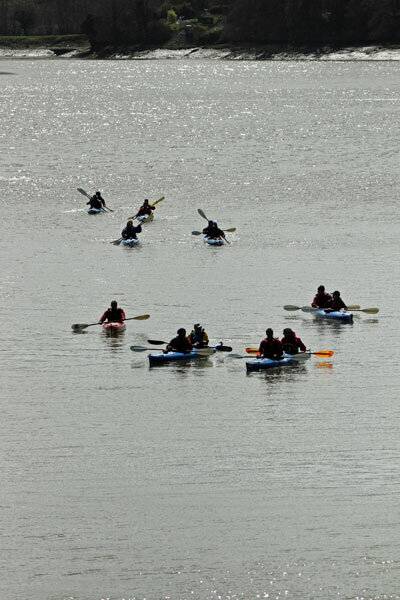 During 2014 charity members kayaked 90 miles of the Gironde from the Bay of Biscay to Bordeaux, retracing the remarkable Cockleshell Heroes mission also from WW2. Pilgrim Bandits is also joining forces with the EY Foundation – a new UK charity to support disadvantaged young people into education, work or enterprise. Royal Engineer. Injured by an IED in Afghanistan two weeks before the end of his second tour. Lost both legs above the knee. Ambassador Patron for the Pilgrim Bandits Charity and serving soldier. Probably the most severely injured soldier to survive the Afghan conflict – over 40 serious wounds including loss of both legs above the knee and a severe brain injury. Has defied all medical science to survive, to walk and talk again. Ex-Corporal in Royal Marines. Injured in Iraq in 2006. Double leg amputee. Champions improvements in prosthetics. Lance Corporal from 4 Rifles. Injured in Afghanistan whilst on foot patrol. Lost both legs above the knee.